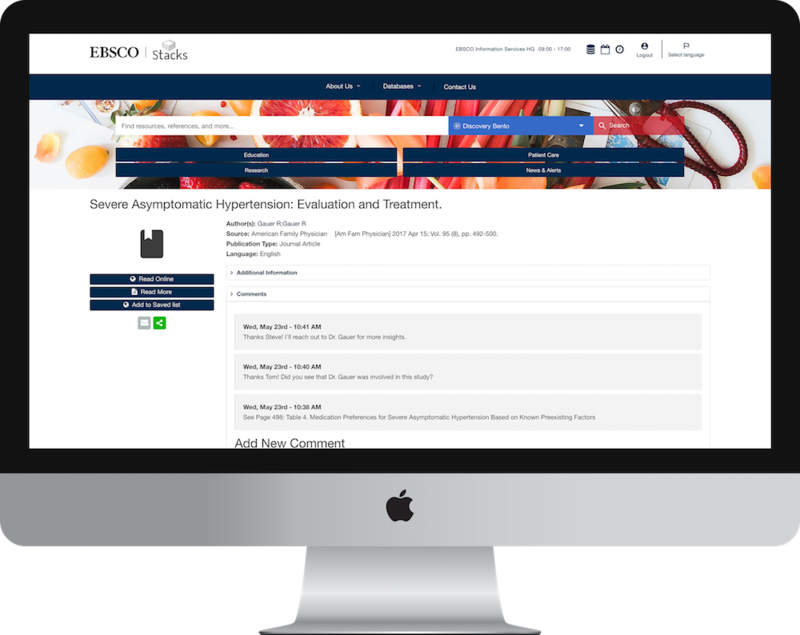 Collaboration tools allow users to comment on pages and EDS items details pages in Stacks. Users must authenticate to participate and can read comments, reply to comments, and make comments of their own. Administrators have the ability to approve or decline comments. 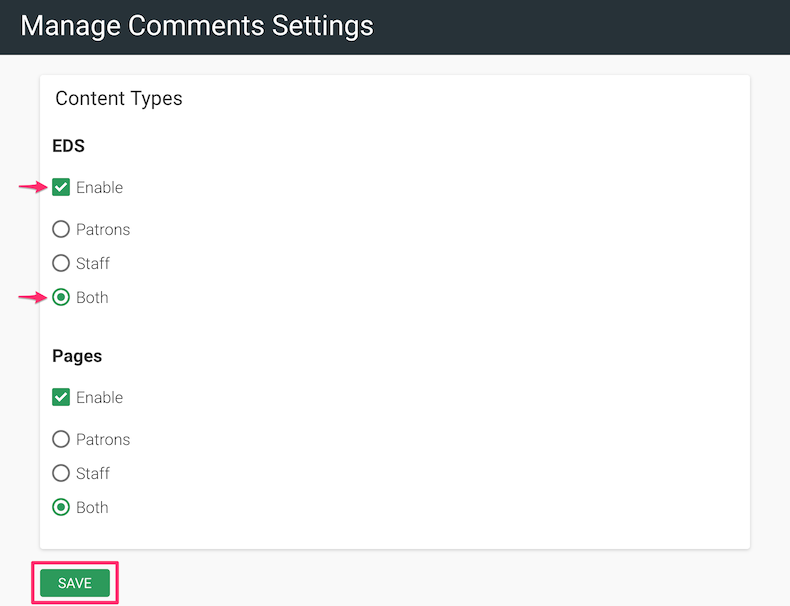 First, you must enable the comment feature for Pages from the "Comment Settings" tile under "Collaboration Tools" on the dashboard. Check the box marked enable under "Pages"
First, you must enable the comment feature from the "Comment Settings" tile under "Collaboration Tools" on the dashboard. Check the box marked Enable under "EDS"
Stacks' treats all "user" comments as ‘pending’ unless expressly approved by a staff member. Staff comments on Pages do not require approval. Where applicable, users will not see comments until they have been approved. Select the "Comments" tile under "Collaboration Tools"
Click the corresponding "Approve" link in the operations column of the comment you wish to approve. Click the corresponding "Delete" link in the operations column of the comment you wish to Delete. When looking at the approved comments for a page or item you have the ability to edit, delete or reply.